Côteaux Varois lies in the heart of the Var department, and was elevated to AOC status as recently as 1993. The region enjoys a Mediterranean climate, sheltered from the extreme heat by the Sainte-Baume mountains. As a result, grapes are harvested two months later than the rest of Provence. Rosé constitutes over 60 percent of the region’s production, followed by 35 percent red and a smattering of white. Côteaux Varois lies in the heart of the Var department, and is sandwiched between two portions of the Côtes de Provence appellation. It is was elevated to AOC status as recently as 1993 (having been upgraded from Vin de Pays to Vin Délimité de Qualité Supérieure in 1985). The region enjoys a Mediterranean climate, sheltered from the influences of extreme heat by the Sainte-Baume mountains. As a result, grapes are harvested in early November – two months later than the rest of Provence. Rosé constitutes over 60 percent of the region’s production, followed by 35 percent red and a smattering of white wine. Côteaux Varois is home to numerous grape varieties, the most prominent of which are Grenache, Cinsault, Mourvèdre, Syrah and Carignan, followed by the increasingly popular Cabernet Sauvignon and Merlot. 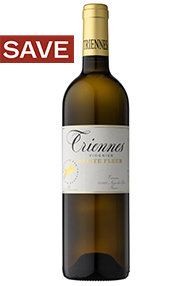 The principal white grapes include Viogner, Roussanne, Marsanne and Chardonnay.